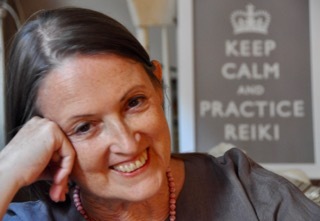 How fast can Reiki treatment help and how much is needed? My sister Joani has suffered from chronic back pain since a car accident 12 years ago. She has gone through multiple operations, multiple doctors, debilitating addictions to different pain killers, and just keeps getting worse. Joani has lived in a massive funk of depression and anxiety for 10 years. She lives in my parents’ small apartment, staying in bed most of the day, drinking cokes and eating junk food. Everyone has pretty much given up on her because nothing has helped. One of my secret hopes after I read your book and signed up for the First degree class was that I’d be able to somehow help her with Reiki. Last weekend, I brought my family to visit my parents and, while there, I shared Reiki with my sister. I felt more heat in my hands than I usually do during Reiki treatment. Joani also felt the heat, especially on her back where her pain is the worst. She asked to feel my hands, but to her hands, my hands felt normal. Near the end of the treatment, with my hands still on her, Joani started crying, saying she wished she could always feel this good. She fell asleep early. Joani texted her thanks the next day. When she first awakens, her back usually “locks up” and she is unable to move, but she woke up at 3:30 AM and “had no trouble moving and getting out of bed.” And she slept better. Tuesday evening, Joani says she’s still feeling better. “Better” hasn’t even been in her vocabulary for the past 10 years. And now dad wants a Reiki treatment. Let’s stay connected. Sign up for my email list here! Thank you, David. 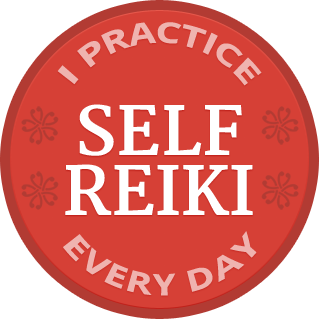 It’s always encouraging to hear from people who have benefited from Reiki treatment and been inspired to learn to practice. I have also seen clients do very well improving their symptoms after brain injuries, much better than conventional physicians led them to believe was possible. Get used to those kinds of reactions. My first treatment, about twelve years ago, was a distance treatment, I was getting it because I’d had long term cognitive problems behind a brain injury. Within a few days after that treatment my mind started clearing enough that I started seeking a local Reiki master for treatments and training. My brain injury may never go away, but I’ve never had symptoms as severe as they used to be, and I know that as long as I live in the energy I’ll never be bothered by them again.